– Select the right leaders and avoid promoting the wrong ones. This topic is near and dear to us at Leadership Success Group, and there are excellent, valid assessment tools and processes for both external selection and internal succession planning that far too few companies use, instead relying on instinct, favouritism, and biased judgment. – Support leaders and then hold them accountable for effective leadership. Ensure that leaders are properly developed and supported. Leadership is hard work, and without training, coaching and other ongoing development, it is even harder to be successful. In addition, leaders’ performance and merit increases should be at least partially determined by how effective they are at leading their direct reports. Collecting annual feedback from their teams is an important source of data on a leader’s performance that is far too rarely done in organizations. – Finally, weed out toxic leaders. Once the evidence is gathered, don’t waste any time in getting rid of ineffective leaders, as the damage they can produce is far reaching. And keep in mind that any leadership faults become painfully obvious when a company starts to grow (American Express Open Business Forum, 2013). A common mistake is to delay action, only making the tough termination decisions once turnover is soaring and engagement scores have plummeted. 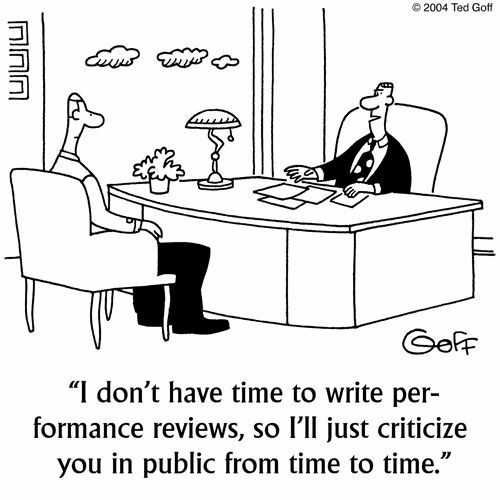 Everybody has either worked for a toxic leader, or who has seen a loved one experience this plight. It’s time to rid workplaces of these weeds and rebuild positive, healthy work environments. After all, we spend much of our waking hours at work, why should people have to suffer toxic leadership?